Born in Buffalo, NY, Dr. Vastola is married and has five children. He has been practicing Internal Medicine and Gastroenterology since 1973 and is committed to full service and care to his patients. Many articles have been written about him including Miami Herald, Palm Beach Post, N.Y. Times, CNN (LIVE), Wall Street Journal, including many medical journals. Dr. Vastola studied in University of Buffalo where he Majored in Psychology and minored in Chemistry. Then he started his medical training at Midwestern University and graduated second in his class. He went on to take up M.D. boards and received his Board certification in Internal Medicine and Gastroenterology after doing an M.D. residency and fellowship at The State University of New York at Buffalo. Dr. Vastola became the Chief of Gastroenterology Deaconess Hospital, Buffalo where he served as Assistant Clinical Professor of Med. and taught for five years in the School of Medicine and Pharmacy. Dr. Vastola also has the honor of having been elected to University of Buffalo Admissions Committee where he served one-year and National Medical Honor Medical Society where he served as secretary/treasurer. In order to deliver full service and care to his patients, Dr. Vastola resigned from his position at the University of Buffalo in 1978 and moved to Florida to practice as a specialist in Internal Medicine and Gastroenterology. Dr. Vastola’s practice enjoys freedom from restrictions by H.M. O.’s and makes it what it is today. 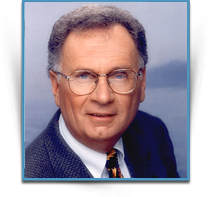 Dr. Vastola has provided public service by hosting a live radio program at WJNO, West Palm Beach for twenty years and eight years at FOX television during the 10 o’clock news. He has taught nutritional therapies at Palm Beach Atlantic University in the Department of Pharmacy for five years, getting recognition as an expert in his field. Dr. Vastola has written a book on vitamins and nutrition, “The Fountain of Youth, Nutritional and Vitamin Therapy”. It has been contracted to a major publisher and will be available for purchase in early summer of 2013. Dr. Vastola is always available for you - twenty four hours a day, seven days a week - whenever you have a problem NOT through an answering machine or menus that direct you to an emergency room which is basically M.D. – V.I.P. service without the large fee. Hospitalists are not used which means if you are hospitalized, Dr. Vastola will provide the necessary care. To conclude, Dr. Vastola treats patients with the standard medical therapies dictated by the medical industry combined with nutritional supplements in an office environment that is warm and friendly. Finally, with his three toy poodles in the office every day, he was a pioneer with pet therapy.